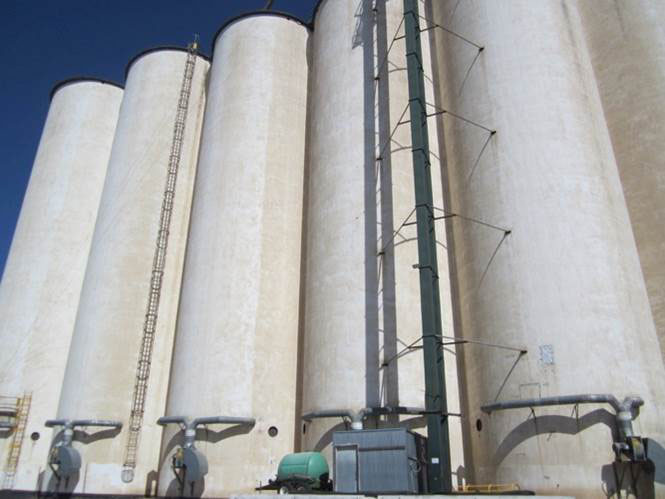 CarbonSeal offers tensile strengthening, abrasion resistance, and electro-static dissipation to extend the life of your concrete silos. The system installs faster, easier than shot-crete systems, and eliminates the mass associated with shot-crete repairs. the surface. 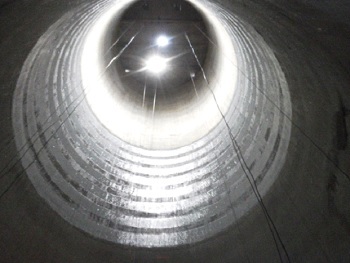 Once cured, CarbonSeal eliminated future cracking of the concrete. 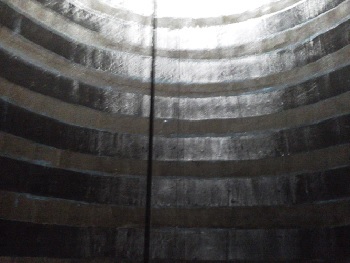 Thermal movement and moisture from exposure to sun and rain, caused the cornice of this Silo to deteriorate. 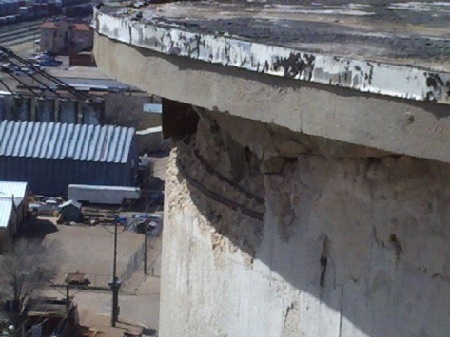 Significant concrete spalling occurred creating a safety hazard from falling concrete debris. 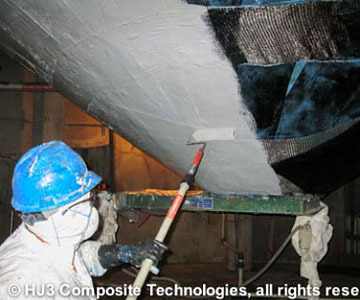 The client required HJ3 to design a CarbonSeal system that would re-surface and externally strengthen the structure to tie the concrete patch into the concrete surface and provide sufficient tensile strength to overcome the steel loss in the corroded re-bar. 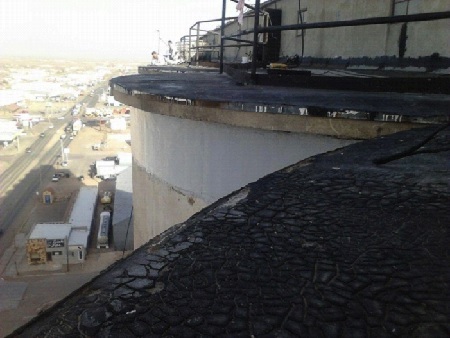 HJ3 repaired the silos in 1 week. 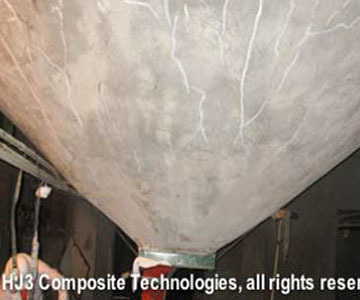 CarbonSeal used to strengthen and seal deteriorated concrete on Coal Silo. 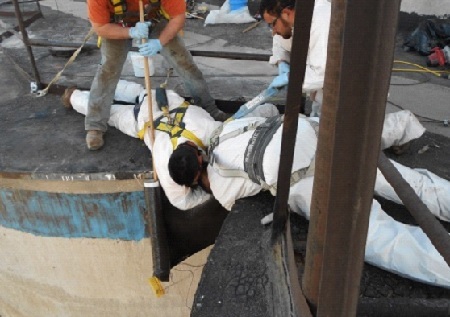 For help with your concrete silo repair, contact HJ3 at 877-303-0453 or fill out the form.